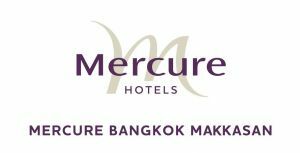 This contemporary hotel is conveniently located on Makkasan Road, within walking distance from the Bangkok Airport Link Station and Makkasan Railway Station. Easy access by car to Sukhumvit Road, Soi Nana, Ploenchit and Siam Square, and well known shopping, tourists and business districts. The hotel has direct access to the expressways leading to and from Suvarnabhumi Airport. Bright, modern 180 room and suites come with flat screen TVs and free Wi-Fi and? mini bar. Amenities include 1 international restaurant, 1 bar, room service as well as an outdoor pool and gym. 3 meetings room and free parking.